Is Your Social Media Approach Engaging or Annoying? Social media is important for all small business owners. That’s true whether you’re in real estate, retail, or provide HVAC or plumbing services. Almost everybody knows that these days, but for some, using social tools the wrong way can be devastating. That’s because so many consumers are inundated with social notifications and requests these days that they delete or ignore most things that come their way. That’s not how you want your customers to view your interactions and messages on social sites. 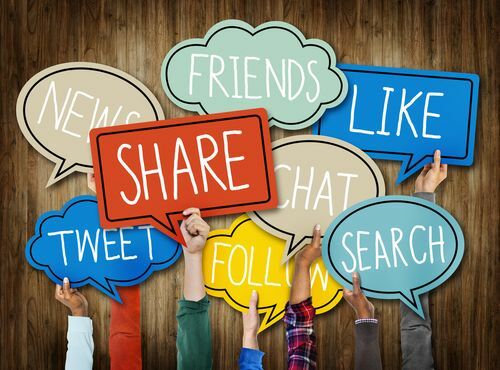 Use this guide to make sure your social media efforts are engaging and not annoying. Social sites like Facebook allow you to reach out to potential customers and clients around the clock. While that’s a good thing, creating too much contact between you and consumers can actually work against you. That’s because most people are easily irritated by over-posting these days. To keep from turning your company into one consumers find annoying, limit your posts to two to three a day at most. Use email marketing for direct messages that require participation from your loyal customers. For example, letting people know about special offers on unique products is often best done through email instead of a glut of social media posts. It’s easy to get sidetracked on social sites and comment on all sorts of things. As a small business owner that’s a big no-no. Stay on point and always create content and posts that are relevant or related to your business. Contact with consumers is a two way street. If consumers engage you, you need to respond as fast as possible. Companies that post often without responding to replies will aggravate many potential and regular customers on principle alone. After all, companies that don’t engage with consumers and only try to sell to them simply don’t do well in today’s business world.